JERUSALEM (AP) — Israel’s prime minister says he will soon travel to the central African nation of Chad to officially restore relations. 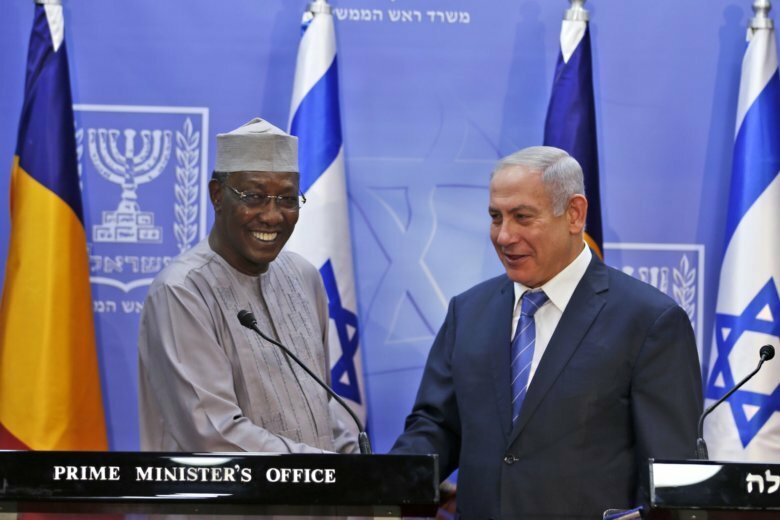 Benjamin Netanyahu made the announcement Tuesday in a meeting with visiting Chadian President Idriss Deby in Jerusalem. Deby’s visit is the first by a president of Chad, a Muslim-majority country that broke off relations with Israel in 1972. Netanyahu says they discussed cooperation in agriculture, counterterrorism, border protection and technology. Netanyahu has made great efforts to extend Israeli diplomacy to Africa and has visited the continent several times in recent years. It’s part of an overall policy of seeking allies among developing countries that have historically sided with the Palestinians at the U.N. and other international forums. Chad has played a key role in combatting jihadi groups in the Sahara.